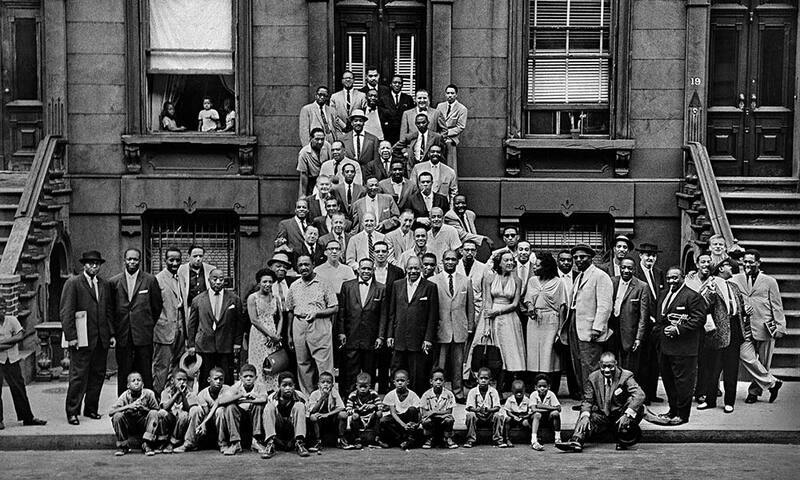 Here in January, 2019, it is now 60 years from the original publishing by Esquire magazine of the historic Art Kane photograph, entitled “A Great Day In Harlem,” featuring 57 of the best jazz musicians together in the same frame. What makes this iconic image particularly important now – and why it is currently being reprinted in so many media – is the fact that only two of the original 57 greats from that day are still with us – tenor saxophonists/composers Benny Golson and Sonny Rollins. It’s also timely to note that the 25th of this month is also Benny Golson’s 90th birthday. I can’t think of a better occasion to pay tribute to these masters...two of our still remaining, greatest living jazz giants from the past. Beyond their voluminous contributions, what stands out to me, personally – having been in their midst on many occasions – is how unpretentious, down-to-earth and giving each of these artists always were. Despite his celebrity and the pressing demands on his time, I can attest that Rollins absolutely lived this credo. I remember one spring afternoon in 1979 when he and Lucille (his business manager and wife of 47 years who passed away in 2004) were in the San Francisco Bay Area. When I contacted Sonny early that day – without having previously requested a meeting with him in advance – and asked if we could do a photo session at the Berkeley Marina where he was staying, the two of them were obliging and openly generous. Under the same circumstances, many lesser “stars” would never have been so accommodating. The same goes for Benny Golson. He personified so many of the traits that make him a true professional. More of a low-key individual, he was reticent when it came to boasting or calling attention to himself. Indeed, some may have believed that he was magnanimous and unselfish to a fault. As a final coincidence praising these two jazz giants, it seems only fitting for me to share the images that are featured in the opening (Rollins) and closing (Golson) pages of my book. The moody, more-artistic takes I selected to be prominently displayed for the readers were simply an effort to express my deep appreciation for these most honorable and deserving artists. 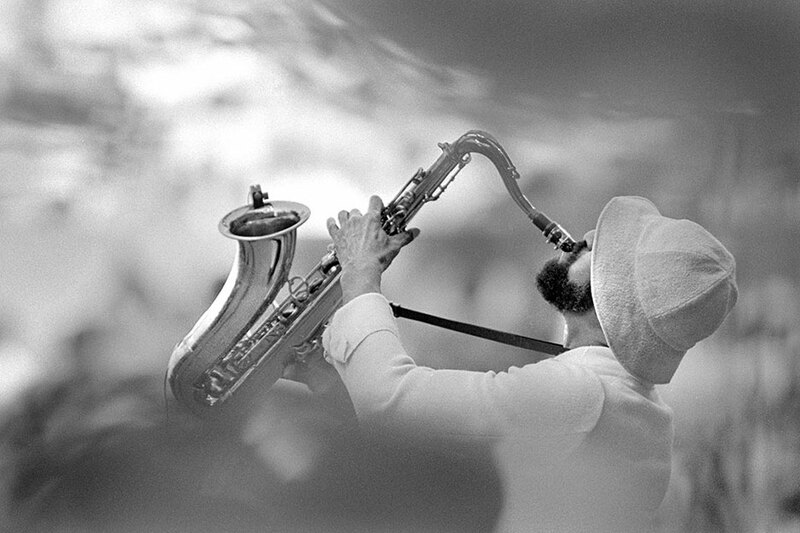 Where would modern music be without Benny Golson and Sonny Rollins? Benny Golson, tenor saxophone; Curtis Fuller, trombone; Barry Harris, piano; Jymie Merritt, bass; Philly Joe Jones, drums.